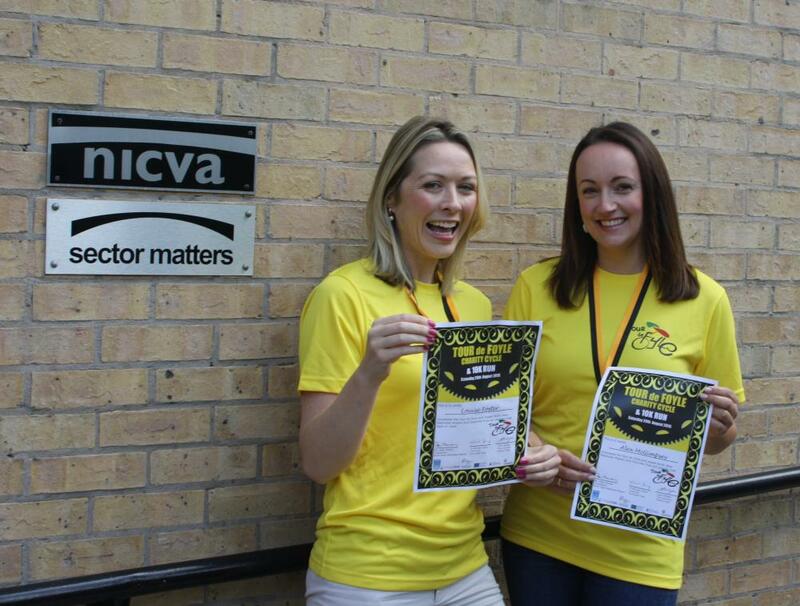 Sector Matters HR Consultant Louise Foster and NICVA HR Manager Alex McGimpsey were delighted to take part in the Tour De Foyle 2015 charity cycling event on Saturday 29th August. Sector Matters HR Consultant Louise Foster and NICVA HR Manager Alex McGimpsey were delighted to take part in the Tour De Foyle 2015, a 50 mile scenic cycle around the Foyle. The HR team raised over £300 with sponsorship contributions from NICVA staff, friends and family. The money raised will fund the Pantry Project, a foodbank established to provide an emergency response to feed families and individuals who have reached a temporary crisis situation and the North West Methodist Mission (NWMM) providing services to Homeless Men through their hostel and drop in service. Building on the growing trend towards getting fit and healthy living, the Tour De Foyle cycle event and 10k run is about bringing people together from all communities across the city and beyond to raise funds for two very worthy local causes. It is a fun event and open to everyone from the beginner to the more experienced cyclist. For more information and to see pictures from this year's event please see: https://www.facebook.com/tourdefoyle. Sector Matters, NICVA's social enterprise offer a full range of HR support including recruitment, handbook and policy reviews and employee relations assistance along with their popular HR retainer service. Please contact Louise Foster, HR Consultant for further details on 9087 5015, emnail [email protected] or visit the Sector Matters website. For free telephone HR advice and HR resources contact Alex McGimpsey, NICVA HR Manager on 9087 7777, email [email protected] or visit our HR hub.